Experience the picturesque Southern Kimberley, thousands of islands, cascading waterfalls, tidal phenomena, mighty river systems and an amazing variety of marine life. Includes a scenic helicopter flight over the Mitchell Falls and a light aircraft flight over the rugged Kimberley. Horizontal Waterfalls, Montgomery Reef and King Cascades are just some of the highlights you will experience over 8 wonderful days. A courtesy vehicle will pick you up from your Broome accommodation around 3pm and transfer you to MV Ocean Dream for a 4pm departure. Your Kimberley Wilderness journey will begin with a refreshing drink as we cruise past Cable Beach, famous for its aquamarine water, camels and beautiful sunsets. Sit back and relax as you enjoy your first gourmet dining experience and meet your fellow passengers. The vessel will continue to steam north along the Dampier Peninsula and past Cape Leveque as you sleep through the night. Your day will start with a delicious breakfast prepared by our gourmet chef to give you the healthy sustenance for a busy day ahead. Our first location will be a refreshing swim at Silica Beach, Hidden Island, one of the 800 islands that form the Buccaneer Archipelago. Aptly named after its brilliant white shelled beach, this beach is one of a few safe saltwater beaches to swim in and a beautiful place to stretch your legs. After lunch, we will go by tender up Crocodile Creek where you will experience your first Kimberley waterfall and a freshwater swim. The late afternoon will be spent fishing or relaxing on board the vessel before the evening dinner service. The adventure builds on the third day as you experience the Horizontal Falls, one of the natural wonders of the Kimberley. The phenomenon occurs when the seawater rises faster on one side of the gap in the McLarty ranges, creating a horizontal waterfall effect. An exhilarating fast boat ride through the falls allows you to really appreciate the power of the regions tidal currents. Further activities include an optional scenic helicopter flight over Horizontal Falls and Talbot Bay. 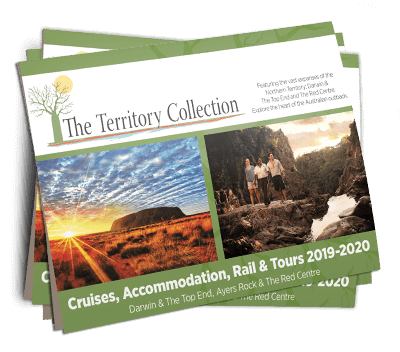 The afternoon will be spent on our expedition tenders along Cyclone Creek, for an up-close view of the incredible rock formations created billions of years ago by huge geological uplifting. Keep an eye out for the friendly Tawny Nurse Sharks. The morning is spent exploring Doubtful Bay and the incredible spectacle of Montgomery Reef. Witness as 300 square kilometres of coral reef appears to rise out of the water on the falling tide, creating hundreds of cascading waterfalls as the water rushes off the reef. The reef attracts an abundance of marine life including turtles, manta rays, dugongs, dolphins, crabs and fish. In the afternoon we will put on our hiking boots for a moderate climb up to the Raft Point caves to explore a well-preserved collection of Wandjina rock art. Delicious canapes and drinks on the bow of Ocean Dream will top off an incredible day of adventure with a sunset you will never forget. Fishing enthusiasts will delight in the day’s activities as the hunt for the elusive Barramundi is on. Have a go at catching a Barra or try your luck in the mangroves for some mud crabs. Later on, the crew will take you on a tender excursion up Red Cone Creek for a refreshing dip at the beautiful Ruby Falls-a picturesque spot for scenic photography and observing the many bats that colonise in the overhangs. Back on the vessel, the chef will prepare all freshly caught fish for a sensational seafood feast. Explore the Slate Islands and the myriad of wildlife that call this sanctuary home. Enjoy a beach swim and take a walk around the incredible rock formations whilst keeping an eye open for turtle tracks. The afternoon is spent discovering Sheep Island and the history behind the failed white settlement at Camden Harbour in 1864. Keep an eye out for shipwrecks, gravesites, and archaeological findings. Once back on the vessel, we will steam into St George Basin and the Prince Regent River. Time to put your bathers on as Ocean Dream is manoeuvred directly under the King Cascade Falls. Feel the power of the falls from the bow of the vessel before a moderate climb up the falls for a refreshing swim in the Cascade pool. An excursion on our expedition tenders will take you upriver to the scenic amphitheatre falls before heading to Careening Bay and the famous Mermaid Boab tree. Discover the history behind Lieutenant Phillip Parker King’s quest to accurately chart the Kimberley coast. Back on board Ocean Dream we will steam into the mighty Hunter River. Enjoy an early morning fish or a leisurely breakfast before taking a scenic tender excursion up Hunter River and into Porosus Creek. We say our final goodbyes as you depart from the onboard helideck and take a scenic helicopter flight over the three-tiered Mitchell Falls. From Mitchell Plateau, you will board a light aircraft for the flight back to Broome. Arriving at approximately 4pm, our coach will transfer you to your Broome accommodation and back to civilisation.